This size linen is usually used for dining room tables, however it can also be used for 6″ and 8″ tables. Please see our linen sizing chart in party catalog through the policies and catalogs tab. 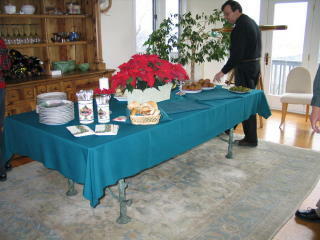 The picture depicts a dining room table with a forest green 72×120″ table linen.